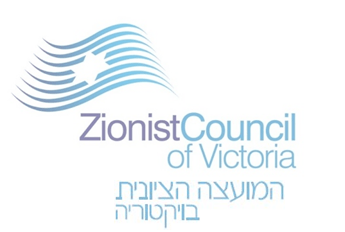 Statement by Sam Tatarka, President of the Zionist Council of Victoria in response to Fairfax article of Saturday, 1 November. President of the Zionist Council of Victoria, Sam Tatarka has written a letter to Fairfax Ltd (publishers of the Age and Sydney Morning Herald) expressing concern in relation to the Telegraph article reprinted in Saturday’s paper and online which referred to Har Habayit (the Temple Mount) as the as the presumed location of two ancient temples. The article written by Robert Tait seems to raise a question regarding an archeologically and historically established fact. The Temple Mount is the site of the Temple which was razed by Romans nearly 2000 years ago. After remaining vacant and desolate for a few centuries it was then used as a Church (when the Crusaders were in charge) or a mosque when the Muslims were in charge and for the last few hundred years as the site of the Dome of the Rock and the Al Aqsa Mosque. Much as the Palestinian political cause would be served by the obliteration of thousands of years of Jewish history in Israel it is as much as fact as is the Aboriginal history in Australia, or the history of the American Indians in North America. It is far less objectionable to refer to the site by both its Jewish and Muslim nomenclature viz Temple Mount/Noble Sanctuary however to then further qualify the description with “presumed location” is a distortion of history. Next Genocide of the Pontian Greeks & its Jewish Connection. “The Age” and “The Sydney Morning Herald” are presumed to be newspapers, but the presumption is questionable since their behaviour indicates that they are a sinister lobby.